Once people see themselves as influencing one another, they cannot be merely victims: anyone, however modest, then becomes a person capable of making a difference, minute though it might be, to the shape of reality. New attitudes are not promulgated by law, but spread, almost like an infection, from one person to another. May Liz’s bold action “spread like an infection” to some of you, dear readers. Click on the following linked title to read Larry Platt’s interview of Liz Arnold. Or, read below a cross-posting with added subheadings and a comment by a reader who was present the night Liz crashed the stage to immediately liven up an otherwise boring debate: “Liz jumped onto the stage like a superhero bounding over a skyscraper” (Note: Larry Platt’s questions to Liz have been omitted from the cross-post). Strangely, security didn’t immediately storm the stage. “I only had a couple of lines prepared, so I had to wing it,” Arnold recalls. Larry Kane stuttered, “Excuse me, excuse me” while Arnold went on: “We can’t fund our schools on a boom or bust industry…We’re poisoning our state and ruining our chance for a strong economic future.” Now that Governor Andrew Cuomo has banned fracking in New York State, we caught up with Arnold to discuss the future of fracking in this state and to see if she’s planning any other unscripted surprises. The gubernatorial candidates were saying absolutely nothing of substance during the Drexel debate in May and hadn’t in the six months prior either. I know because I attended every public forum and debate that was held in Philadelphia during that time. Politicians do a lot of talking, but they aren’t hearing the people of PA, so I took the stage. Eight years of this fracking disaster and no one wants to talk about it. We’re not going to allow our representatives to continue to ignore us while spouting gas industry talking points. They are pushing the gas industry by selling a tax on drillers as salvation for our schools. But drilling shale is a boom or bust industry. [Pennsylvanian Governor-elect] Wolf hasn’t been sworn in yet and the industry is already under incredible economic stress due to low oil prices. Our schools need stable funding every year, not just the years that we are willing to sacrifice our health and families in rural PA for temporary profit. We know fracking is harmful to humans and the environment. That is why we have moratoriums in the Delaware River Basin and Bucks County, and why Pittsburgh has banned it. So why is Wolf telling the rest of Pennsylvania that their health, property value, and quality of life are not worth protecting? Wolf plans to sacrifice most of PA to dangerous gas drilling that enriches a few while the state as a whole loses out. 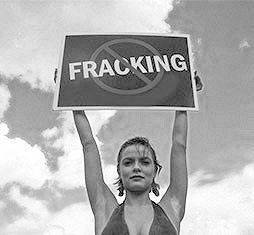 Tens of thousands are already known to be harmed by fracking. Just this week Lancaster residents shut down test drilling for a proposed pipeline. Fracking is ruining water supplies, farmland, stressing transit infrastructure and natural ecosystems, decreasing property values, and hurting real estate and tourism in some parts of PA. Drillers do not leave PA sufficient funds to maintain wells, which will only add to the hundreds of thousands of orphaned and abandoned wells we already can’t afford to deal with in PA.
Fracking is an unsafe technology that, combined with human error, means that no amount of regulation or oversight will protect our water, land, and health. No town, county, state, or country has fracked safely. According to the gas industry’s own data, an incredibly high percentage of wells fail immediately and more than half of wells fail within 30 years. They haven’t figured out how to frack safely and we should not allow them to damage the resources we depend on for life: water, air and our health. The PA Auditor General, Eugene DePasquale, issued a public report stating the DEP doesn’t have the capacity to oversee drilling in PA. Wolf says he’s a good business person, but no one would sell anything when the price has been reduced by 90%. That’s where gas is now. It makes no sense not to leave it in the ground. Hundreds of people from all over Pennsylvania will come to Harrisburg on inauguration day. Pennsylvanians Against Fracking is organizing a march from Grace Street Methodist Church in Harrisburg to the inauguration site at the Capitol on Tuesday, January 20th at 10am to let Wolf know we want a truly ‘Fresh Start’ for PA, which means no new fracking. People around the state are starting new community groups every week. Two–thirds of the Democratic Party in PA supports a statewide moratorium on fracking. A statewide moratorium is the official platform on the PA State Democratic Party. I’ve always had a strong aversion to injustice. If no one else will speak up, I feel compelled to. My family is from Appalachia. I stood in the middle of a mountain in northeast Tennessee that had been blown apart for coal, and at that moment I realized if we don’t fight our world will be destroyed. I don’t believe in “sacrifice zones” and I won’t let a handful of individuals destroy something that can never be recovered. I speak up because powerlessness is just a myth someone sells you when they don’t want to be challenged. I refuse to accept that just because I am not rich I shouldn’t have a say in what our future looks like. Philadelphia and all of Pennsylvania deserve better than what the gas industry has rolled out here. We will have a more robust economy with safer long-term jobs and better quality of life if we stop seeing our state as an extraction colony and start looking toward the future. I was at the May Gov debate and saw this unfold live. Liz jumped onto the stage like a superhero bounding over a skyscraper. The four Gov candidates, vying to run an entire state, were cowed into silence by Liz asking them about a vital issue. They couldn’t answer her questions, and could stomach only the routine pablum fed to them by the feeble Larry Kane. 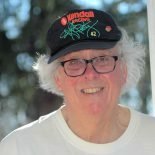 This entry was posted on January 19, 2015 by fjwhite in counterpower of one, demonstration counterpower, environmental activism, moral & ethical counterpower, political action and tagged direct action, fracking, Liz Arnold.